There are many instances where an individual or company might need to provide VIP security to parties such as a visiting dignitary. If you are given this responsibility, it would be wise for you to at least understand the nature of this type of security service. This way, it will be easier for you to determine the best type of security detail to offer them. • Physical fitness: It is important for a bodyguard to be fit. In case of a security threat, they might be forced to physically exert themselves in order to protect the VIP. • Arms training: Most of the time, the bodyguards are usually armed. However, simply having the firearm is not enough for them to protect their charges. They also usually have to be very well trained in the use of all types of firearms. One particular skill that bodyguards need to have is accurate shooting. • Hand to hand combat: There are many times when the bodyguards will be forced to get into physical altercations with threats. This can only be achieved if they are trained in hand to hand combat. The aim of this is to ensure that such altercations are as short and as effective as possible in neutralizing the threat. • Observational skills: Ideally, the bodyguard needs to spot potential threats and keep an eye of them even as they move around with the VIP. In many cases, they might even need to spot several threats and keep an eye on all of them simultaneously. Another group of security experts that might come in handy in the protection of a VIP are what might be known as regional security experts. These are individuals whose main job is examining the environment that the VIP is likely to visit, and then keep it secure. For instance, if one is going to visit a business park, the job of the regional security expert would be to visit the area, identify spots that might pose threats to the VIP and then secure them. They might also be charged with the responsibility of organizing the area so that it’s safer, such as by moving cars that might provide a vantage point for security threats. In addition to that, such experts might also have a bird’s eye view of the venue that the VIP is likely to spend a lot of time in, checking for any threats. If the VIP is likely to travel by air, they might also consider getting an inflight security guard. The environment inside an airplane is very dynamic and is often very different from other environments. This is why most of the time, a regular bodyguard would not be enough to provide security in such settings. The inflight guards are usually trained to spot security threats by observing the crowd in the plane. They are also usually trained in using firearms that they can operate inflight, but without causing catastrophic damage to the plane’s body. There are many times when VIPs prefer traveling with their families. In such cases, it would be important to also get security experts who have specialized in providing security for such groups. • They all need to be on the same page: All the players in the VIP security team need to act as a team, and have a common strategy in order to achieve their goals. This means that when you are hiring them to provide the service, the best way to do it would be getting them from the same source, and making sure that they work together. • Proper training: Providing VIP service is something that requires the use of more than one skillset per individual. This can only be achieved through proper training. • Constant communication: It’s important to set up a communication system to ensure that each of the VIP security providers are in touch with each other. • Optimal physical state: All the parties providing the security need to be in optimal physical state. Conditions such as illness, fatigue due to working long hours and drug intoxication will all reduce the effectiveness of the individual, and eventually of the entire team. The guards you have at your building are not only security elements, they are also the first point of contact between the outside world and the business. When people visit your office, they are likely to have to go through the guards first. When you are assessing the training or experience that the guards have, you need to take this into account. A high quality guard is one who can interact with people coming into and out of your building in a polite and professional manner, irrespective of whether they are high value customers or not. This will go a long way in preserving the reputation of the business. Being a guard is an arduous job. Most have to stand for long hours, and how much stamina they have will determine how effective they are. When a security guard becomes very tired, they are likely to not pay attention to security threats, and this in turn means that they are less likely to protect the facility. When you are assessing the training of any such personnel, you should find out how much physical training they have. You can even include a physical test as part of the assessment process. However, this should not include an arbitrary set of physical tests; you should have specific things you would be looking out for. The nature of security threats in the current world keeps changing. For instance, there are times when you might be more prone to terrorism rather than a simple robbery. A high quality guard is one who is familiar with the dynamics of each of these threats, and is equipped to handle them. For instance, if you own a building that is prone to a terrorist attack, they should be able to identify an impending attack, and then try to prevent it with minimal loss. Most of the time, being able to do this requires that they receive expert training. The security guards will often have to deal with large groups of people at a go. This is especially so when something goes wrong, such as when a robbery happens. In such cases, they are likely to be in the front line in doing things such as directing people to move from one place to another to avoid the risk. In addition to that, during an event such as a fire, they are also likely to play this role as well. Though it’s not strictly necessary, hiring guards who are trained to handle groups of people in such scenarios will be an advantage. It is important to remember that in the aftermath of a crime or an accident such as a fire, people are likely to suffer from mass hysteria and panic. The presence of a couple of guards who seem under control will go a long way in preventing this from causing more accidents, such as due to stampedes. Once you employ guards, chances are that they will have received training. One of the questions that most people have to contend with is: should you spend more money on training them again? This is a question that often doesn’t have a very clear answer. The best way to determine this is by examining your needs and the capabilities of the guards. If they are not at par, you might need to spend money on training the in order to bridge this gap. The other scenario is when you need them to have specialized skill in a particular field. However, in such cases, you would need to design the training you want them to go through, and then find a body that can provide such training. Fortunately, there are many security firms that can help you design and implement these training sessions. In summary, the training of a security guard is something that should not be taken for granted, particularly if you value keeping your premises secure. When you are hiring them, it’s wise to be very critical of how and where they received their training, rather than assuming that all security guards have the same level of expertise. The use of CCTV has become a staple in most security systems today. The fact that the systems have become very cheap means that even domestic users can afford to install them in their homes without incurring a huge cost. If you own commercial property, installing such a system therefore makes a lot of sense. Not only does it make it easy to monitor large areas using only a handful of staff, but it also helps with future enquiries and also acts as a deterrent. The combination of multiple benefits and low cost make the CCTV systems very good value for money. One of the benefits of current CCTV systems is the fact that they can be accessed online. This means that you and your security staff can keep an eye on the business without being there. However, for you to benefit from this, you will first need to buy the cameras that have this capability. In addition to that, you also need to make sure that you have enough bandwidth to support this. If your wireless network does not have enough bandwidth to support this, you might end up having a difficult time using this feature. Fortunately, an increasing number of firms are manufacturing cameras that can compress the data, ensuring that the data sent out is not so large. This means that your bandwidth needs may not be so high. • The size of the office: This will influence the number of CCTV cameras you should get. • The number of obstacles: In a small office with a large number of obstacles, you might need more cameras to adequately cover the entire office space. • Special areas of interest: There are some areas of the office you might have special interest in in terms of keeping it safe. These include areas such as safes. You might need to get dedicated cameras for such areas. The lighting in the office should also dictate how you go about buying the CCTV cameras. For instance, many offices depend on the CCTV systems at night, when there is no one in the premises. During such times, the lighting may be very low, which means that the images captured by the cameras might be too grainy. There are several ways of tackling this. First, you could decide to improve the lighting in areas where you want to enforce more security. For instance, you could install more lights at the entrance points, so that the cameras can clearly make out anyone who tries to breach such entrances. The other option would be to get the cameras that are very good in low light scenarios. Either way, these are decisions that you will need to make before you actually go shopping for the systems. The elements can do a lot to damage the cameras, particularly if they are installed outside. When deciding on which systems to buy, you might need to take into account the types of environments in which the CCTV cameras will be used. For instance, if you live in a very cold part of the world, you might need to buy systems that are designed to be used in such environments. Anything else might end up having a much shorter life. They might also force you to spend more than you should on maintenance. Over the past few years, the technology used in manufacturing CCTV cameras has improved significantly. Most models are very reliable as a result. However, it’s still wise to do some research regarding the reliability of different brands before deciding on which one to buy. The goal here is to make sure that you don’t buy systems that will fail too frequently. This information is easily available online, particularly for the more established brands. Before investing in any CCTV system, you need to assess how complex it is, and make sure that the degree of complexity is something you can live with. You should particularly pay attention to the software you need to use the system. 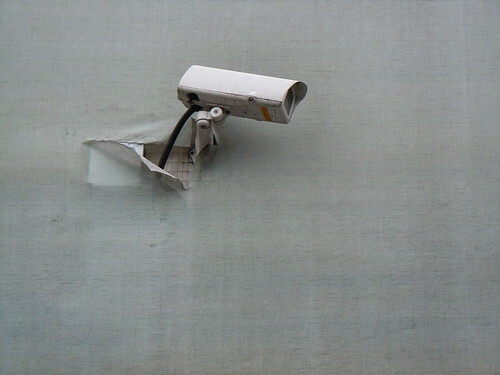 Some of the poorly-made CCTV systems are usually bundled with software that is difficult to use. Using such systems means that the security of the entire premises will be compromised. By taking all the above into account, you will be in a better position to identify and install CCTV systems that will boost the security of your premises maximally. Security is becoming an important commodity in the current world. Today, more entities are willing to spend more money to keep their business premises and homes more secure. However, if you are not careful about how you go about it, you may end up spending a lot more than you should on security. This becomes even more regrettable when it turns out that most of the measures you end up investing in do not offers the amount of security you hoped they would. The only way to avoid this is by having a systematic approach towards the implementation of security measures. An important consideration would be investment in a risk assessment before deciding on which measures to implement. If you are to conduct a proper risk assessment, you need to consult a party that has enough experience in this field. This is one of the most vital variables, and it affects the rest of the process. By far, the best way for you to get this done would be to consult a company that has been providing such services in the past. Not only will the report be more comprehensive when you do this, but it will also be ready in a shorter amount of time. The most common factor preventing people from considering this is the cost. However, you should keep in mind that you really do get value for your money. Besides, there are some professional security firms that can carry out such an assessment for you without charging you as much as you would think. Part of the risk assessment is keeping in mind the type of business you run. There are some businesses that have a worse risk profile than others. Examples of these include firms that can influence politics, as well as those that affect foreigners. In addition to that, firms that deal in business that is emotive in the population also tend to be targets of crimes and attacks. In such cases, the fact that you are running such a business means that you should invest more in security. If you are running a business where security is a major issue, you need to keep it in the back of your mind that some of your employees can be the source of risk. For this reason, you need to also cater for them when doing the risk assessment. For instance you can design a periodic background check program for each of the employees, particularly those who have a sensitive job description. The current political climate will also affect your security profile, and can be used to determine what security measures you should take in a business. For instance, there are times when the risk of a terrorist attack is particularly high, especially if the country comes up with policies that might instigate this. During such times, taking measures such as putting more restrictions on entry into the facility and hiring more guards might be prudent. Where the business is located will also influence how safe the business is. For instance, in a city, there are some parts that are more prone to crime than others. In a particular state or country, there are some cities that record higher crime rates than others. All this data should be considered when you are designing a security system. For instance, if live in a city that has a very low risk of crime, and are in an address that records very little crime in that city, investing in a very elaborate security system might not be wise. When all the above are combined, one can come up with a picture of the types of crime that a particular business premises is likely to be subjected to. This will then inform the decision on how to come up with a security system that is aimed at such risks. In summary, coming up with security protocols is not a process that should be done in an arbitrary manner. There is a lot to be considered before you end up with a plan that will turn out to be good value for money. Moving Office Due To Security Threats? Posted on: In: Blog | Comments Off on Moving Office Due To Security Threats? Sometimes when you are faced with increased security issues, moving is not the best option at your disposal. This means that if you do so without first taking into account the other things you can do to improve security will turn out to be more expensive than it should ideally be. Remember, moving an office will cost you a lot in terms of the actual amount of money spent on the process as well as the time you need to get it done. When you consult a specialist security expert, they will first assess the risk that you face in that particular location. They can then explore each of the options you can use to solve the problem, and then assess how much it will cost to implement each plan. This way, you will have a clear overview of which plans will yield the most results in terms of boosting security. If you are thinking of moving offices on account of security threats, you need to make sure that the move is worth it. This can only be done by assessing the sites you are interested in moving to. If they offer the same or slightly higher levels of security, it might not be worth making an effort to move there. The only way to get an objective opinion of this is by consulting the security expert. You can ask them to check the status of the office space you are interested in moving to, and then giving you a rundown of how safe it will be compared to the current office premises. You can also use their expertise to draw up the criteria you will use to determine the suitability of the different sites you come across. For instance, you might not know which locations in the city are the safest, but such professionals definitely will. If you are moving to a new building, you may need to have it modified so as to make it safer. It’s usually much easier to do this before having people inhabit it. This way, the people doing the renovations will have more room to get things done quickly without obstruction. However, this will only be possible if you have an accurate idea of some of the changes that need to be effected in order to make the premises more secure. Once you have identified a particular building you are interested in moving to, you can then send the security personnel to check it and then report their findings to you. You can use this as the basis for deciding on how to improve the security of the building or premises before moving to it. As you can see, moving your office on account of the security issues is something that you should not do alone. Consulting a professional who has a lot of experience in this field has many benefits. It will help you carry it out with greater ease, and it’s also likely to cost less as well. More importantly, it will turn out to be worth it. However, there are a few things you need to remember in order to pull this off with ease. For one, you need to work with a security expert who has a lot of experience in the field. This means you may need to do a bit of research before settling for one. Some of the things you should be looking out for when doing this include their experience in the industry. Contractors who have been in business for longer tend to have a better eye for security details, and are therefore a better bet for such projects. In addition to that, it is advisable that you consult them early on during the planning stages. Getting the security consultant on board very late is not advisable since you are unlikely to get all the advice you need from them to make the best decisions.